As you take a walk between Palolem Beach and Agonda Beach, you shall come across a couple of hidden coves having natural rock formations which must have taken millions of years to get created naturally with the lashing of the sea waves. 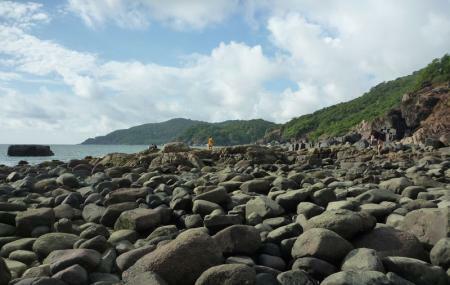 One can take a short hike during low tide from the right side of Palolem Beach in front of Conco Island. Another way to see the rock formations is to hire a dugout canoe fitted with an outboard motor, cruising at a slow speed while soaking in the visual delights and virgin beaches like Butterfly Beach and Honeymoon Beach. Walking distance from Agonda Beach. Love this? Explore the entire list of places to visit in Agonda before you plan your trip. Fancy a good night's sleep after a tiring day? Check out where to stay in Agonda and book an accommodation of your choice. How popular is Rock Formations? People normally club together Conco Island and Cabo De Rama Fort while planning their visit to Rock Formations.